Event Dining at Its Finest! 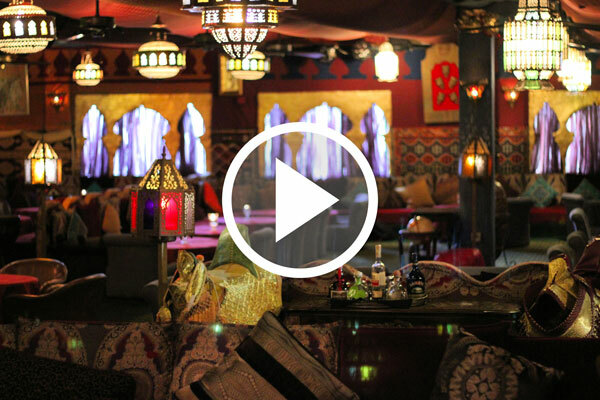 The Imperial Fez Restaurant offers a unique dining experience centered around the traditional flavorful foods of North Africa – along with nightly exotic entertainment. Guests dine on comfortable pillows and enjoy savory food, usually eaten by hand. Shoes are left at the door and guests are magically transported to Morocco. A truly unique dining experience with nightly belly dancing performances starting about 8:00 p.m.
We will host Large Party Events (25+ confirmed guests) on Monday and Tuesday. Give the gift of an evening out at Imperial Fez. You can order instant, online instant gift certificates easily here!